Harbour House bed and Breakfast on the Dingle Peninsula is superbly located at the head of the Maharees isthmus, which is situated to the north of the village of Castlegregory and half way between Tralee and Dingle in the South West corner of Ireland. The Maharees set among the magical beauty of mountains, lakes and sea, is renowned for its Blue Flag sandy beaches, clear water, flora, fauna, peace and beauty which are removed from the hustle and bustle of urban life and everything associated with it. Our family run Guest House is supervised by Sandra who has in excess of 30 years experience in the hospitality industry. Sandra with her team know what the visitor wants, a warm smile, friendly conversation, value for money, excellent food and old fashioned Irish hospitality in comfort and style and their dedicated team at Harbour House strives to meet these needs. 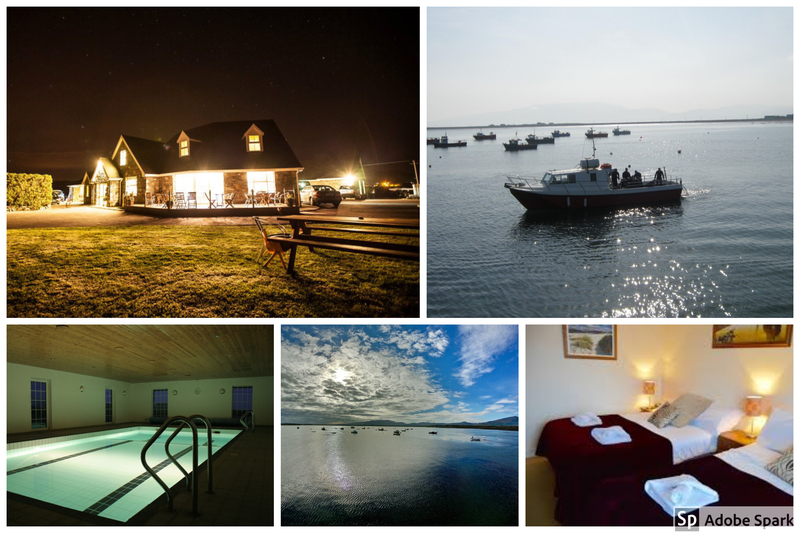 Harbour house is the ideal location to make the best of your holidays, just a short walk from the house you have the finest sand beaches in Ireland and without a doubt, the best watersports including, Scuba diving, Kite surfing, wind surfing, surfing and the kid’s watersports clubs etc. Weekend Package:Friday to Sunday B&B in en-suite accommodation, four boat dives, cylinders, air and weight belts. Long Weekend Package: Friday to Monday, B&B in en-suite accommodation, four boat dives, cylinders, air and weight belts. Diving the Maharees Islands.